I took a stand this weekend! 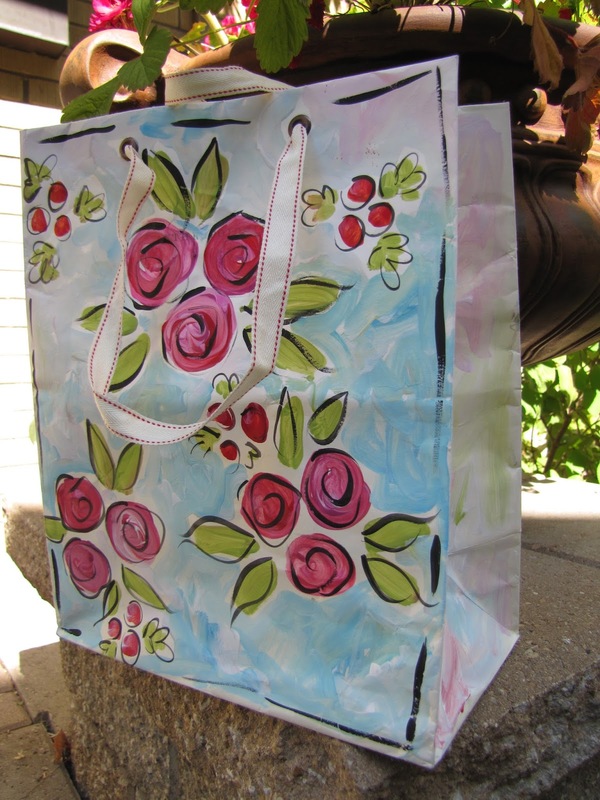 No more buying of gift wrap!!! 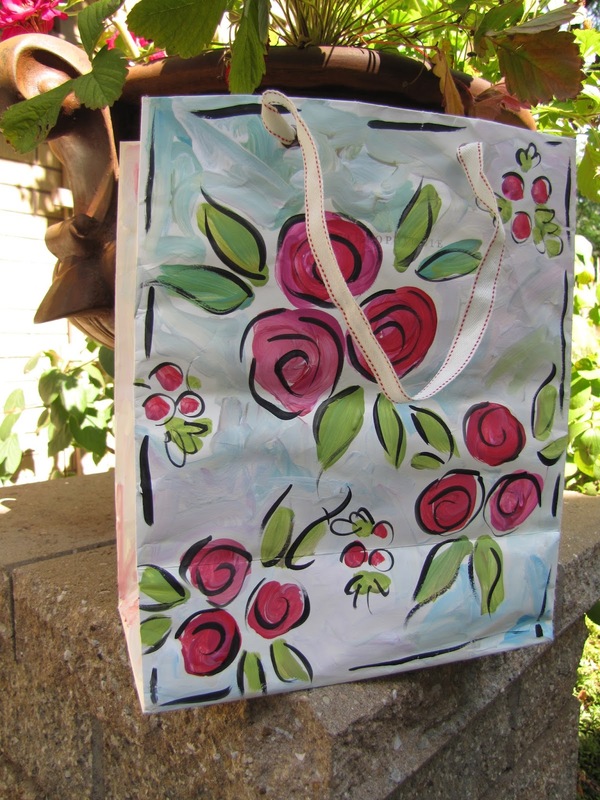 It was my mother in laws birthday, so I decided to paint a shopping bag to use for her gift. 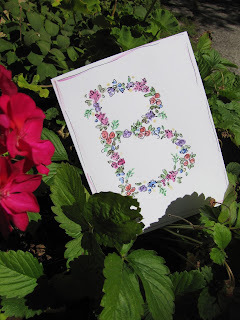 I dolled it up with a bunch of flowers and then painted a card. Look how cute it all came out! 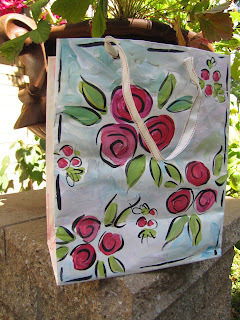 And btw, it didn't take any longer than it would take to go to the store to buy gift wrap! Flowers on the front and on the back. Do you recognize those ribbon handles? It's an old Anthropologie bag! I thought about putting a different ribbon in for the handles, but I got side tracked making the card. I got the idea to make my own cards from all of the cool kids who make their own cards for birthday parties! I just love making them! 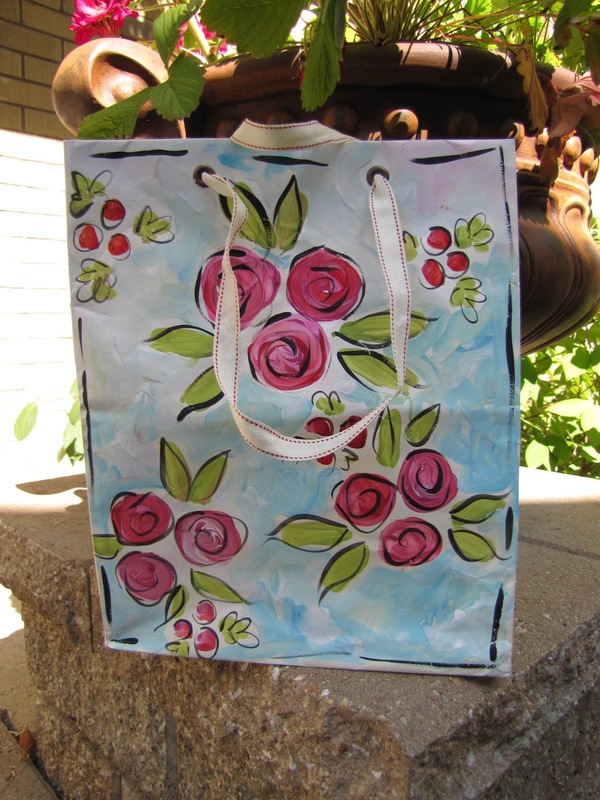 Would you ever paint your old shopping bags and make your own cards?